We've all heard the saying, there's no place like home. It's especially true for a wedding. Celebrating your union in the same place where you grew up, can make the experience more meaningful than securing an event venue. Your home is filled with memories that shaped the person you are now. Why wouldn't you want to make an new memory that will be so meaningful to you and your family? 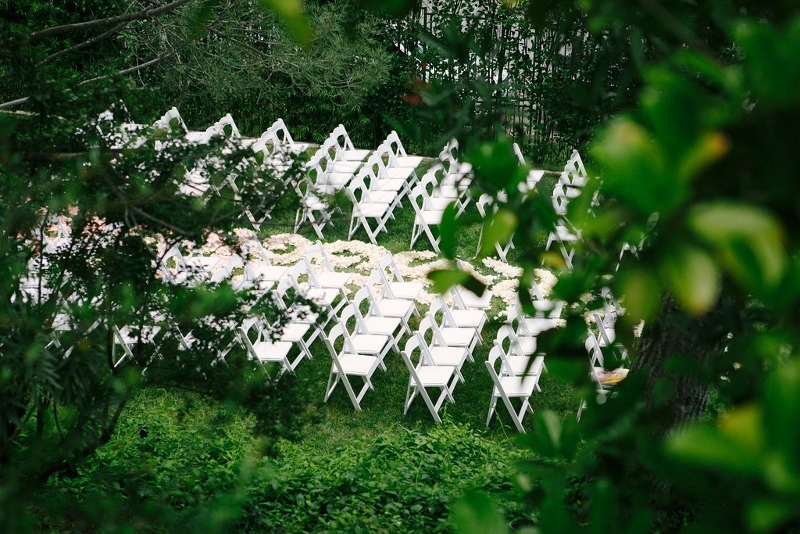 Lena and Bassam wanted that experience, and turned to event planner Jen Bergmark of First PIck Planning. She is an expert in the complexities that a home wedding requires. 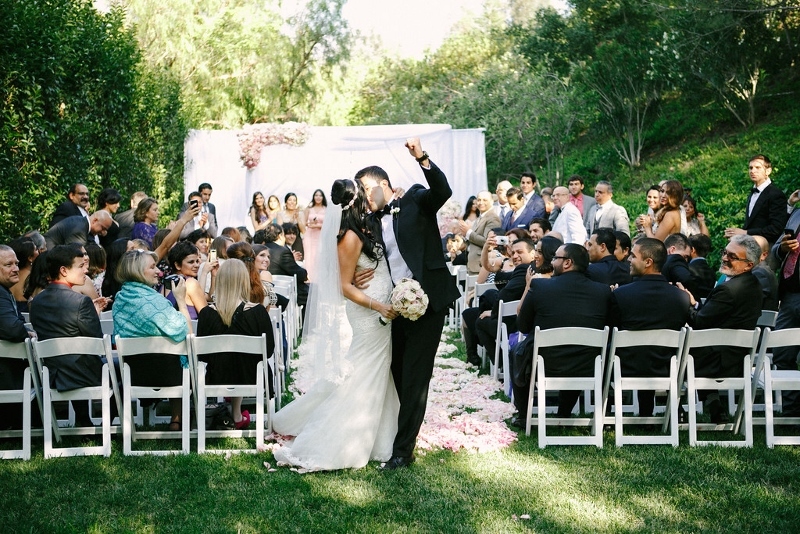 Not only was this a home wedding, but it was a Persian wedding, in which culture needed to be honored. The Persian wedding altar is called The Sofreh Aghd. Many items are placed on the altar that bring luck and longevity to the marriage. We had the distinct honor of embellishing the Sofreh with flowers. Not many floral designers are allowed this honor, and it made working on this wedding event more special for our team. A design of petals down the aisle leading to the Sorfeh made for a dramatic entrance for the bride. 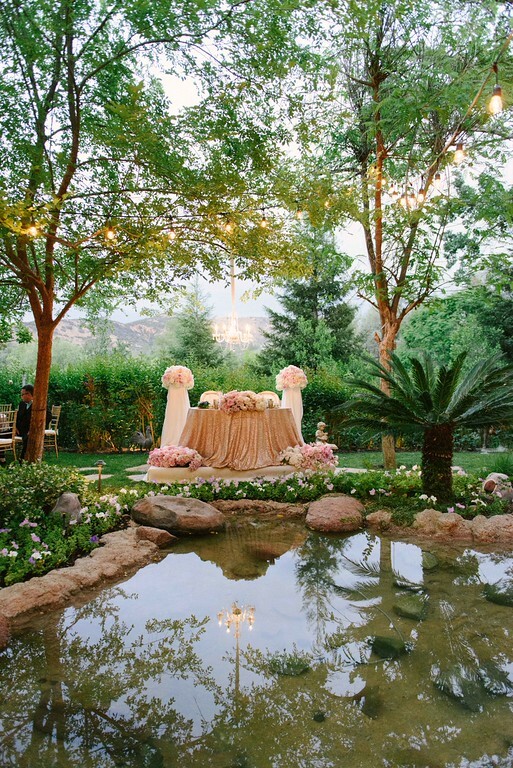 A highlight of the reception was Lena and Bassam's stunning sweetheart table. Elegance was a must for this couple. This was achieved through the use of candelabras, mixed metal and glass containers, and an abundance of candles to accent the beauty of the home. 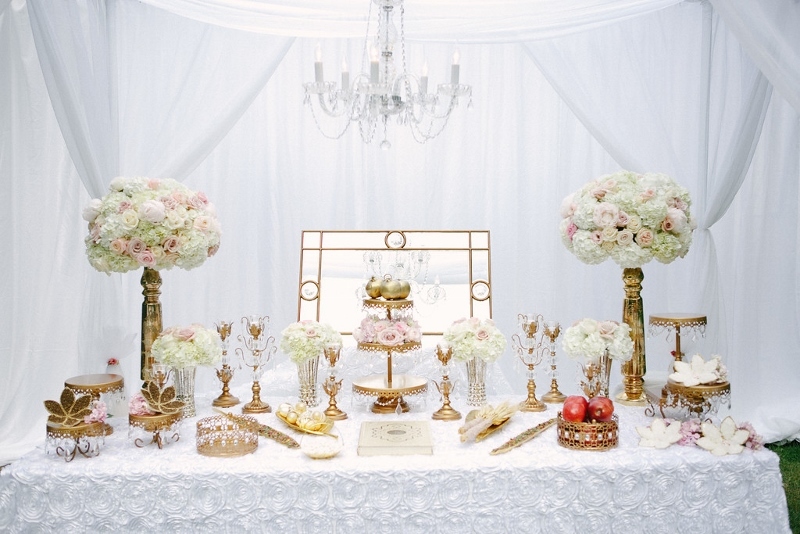 The color scheme was pink and cream, with gold and silver metals for a romantic touch. Just look at the look on the couple's faces. It proves there's not place like home.....for a wedding. Congratulations Lena and Bassam. We wish you all the best in your life together.